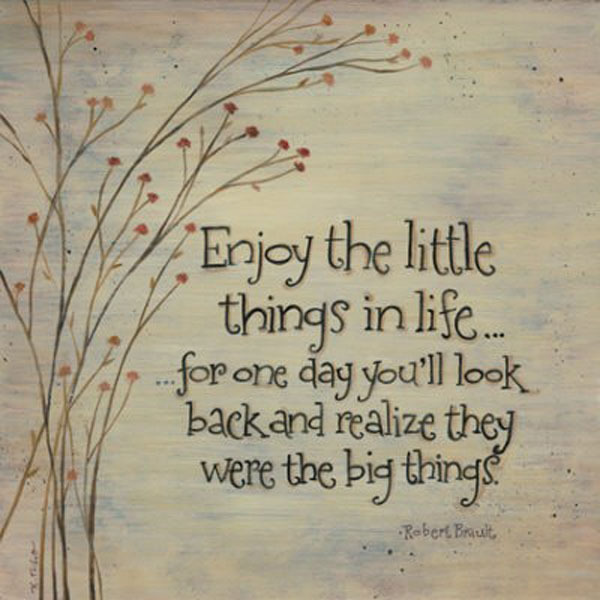 Hope everyone is having a great May Month? If you love mystery, you will love what I will be sharing with you on my blog today. It’s been a long time since I last shared my thoughts on beauty boxes… I was off the hook with my experiment on trying subscription beauty boxes, But, hey! I came up with an interesting thought. This is going to be a little different from the usual beauty box I pick. I am talking about a 'mystery beauty box,' oh golly! Who doesn't love mystery and surprises, right? Lucky for me, I got the chance to try the mystery box by Vanity Cask. It is a subscription beauty box which is curated with the best, handpicked luxury beauty products to suit Indian women. They help us stay in touch with the latest global development in the world of beauty. The experts pick the best sample products which we can use and see if it is what your skin needs. If you love it, you can buy the products and use it, if not you get to save you money instead of buying a full pack. To know more about them. you can check their website. Getting this mystery box at a very reasonable price as compared to the monthly subscription box was a run for or the money. The products were all worth it too. So, as I unbox, you can get a glimpse of what I received in my Vanity Cask mystery box. Alrighty, without further ado, let’s unveil the mystery box content. Enriched with the goodness of Almond and Indian Berry extracts and Sandal oil, this is a refreshing non- foaming cleansing milk. you can use this as a makeup remover, or for deep cleansing of skin impurities as it nourishes and heals the skin, giving you a smooth supple skin. 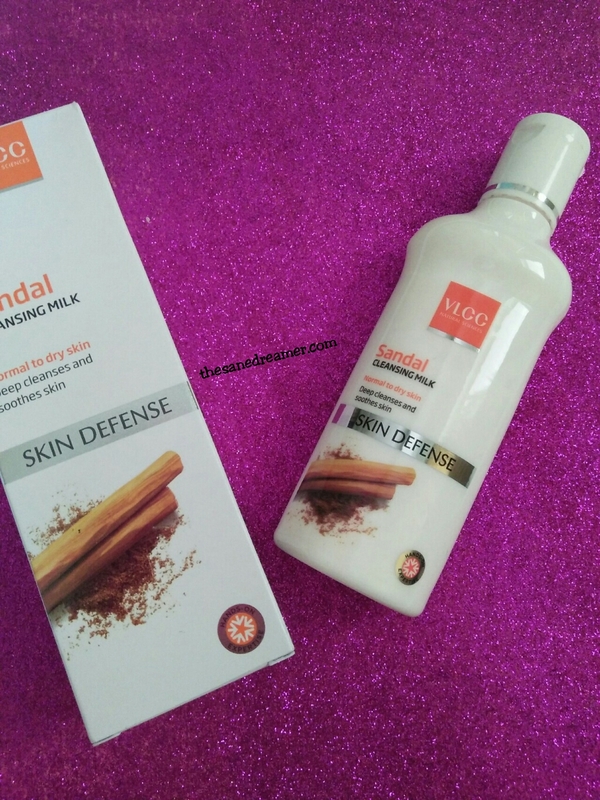 If you wish to give it a try, you can buy it from Nykaa online store. The next product is Votre creme body scrub. it has Corn particles, Almond oil, Kokum Butter, Shea butter, Jojoba oil and some fruit extracts. Experience the richness of natural butter and oils blended with Aromatic oils along with the goodness of fruits and herbal extracts. I have used it twice and it does leave your skin with a smooth feel. 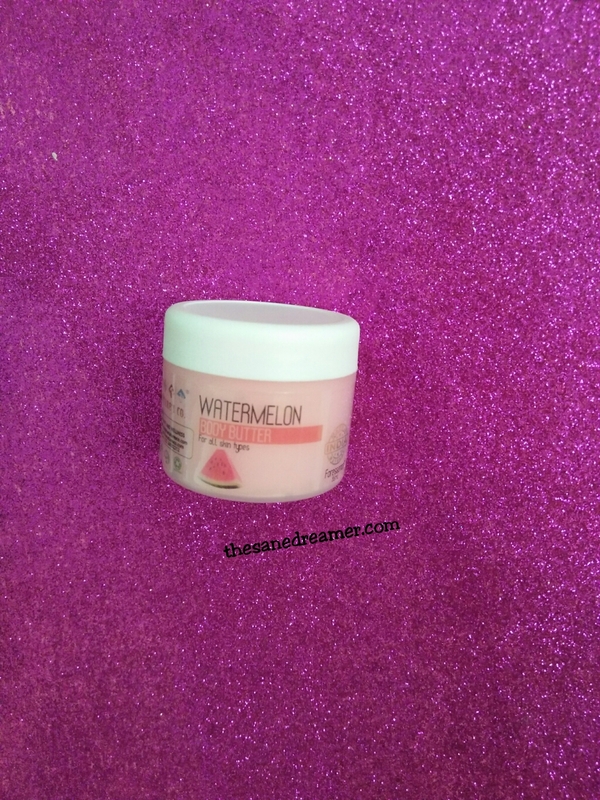 The next is a refreshing and super hydrating watermelon body butter. It is enriched with Vitamin C and A. It moisturises and hydrate the skin with its deliciously fruity fragrance, leaving the skin fresh and soothing. Get this from their website. 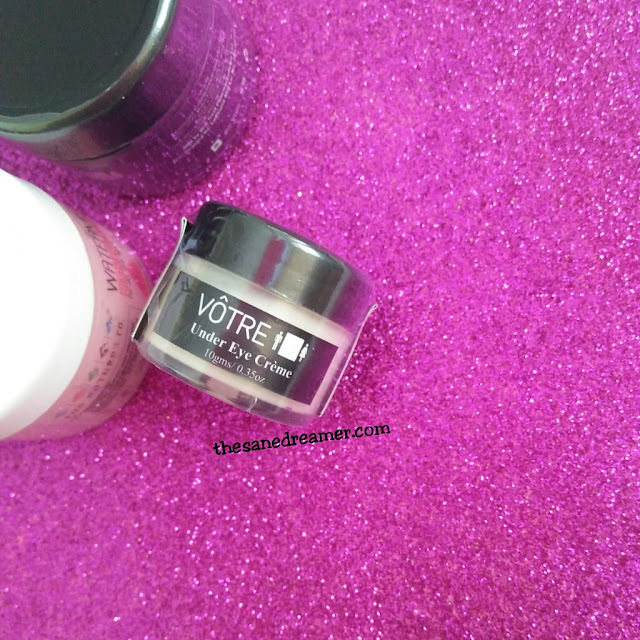 This under cream from Votre has a pleasant refreshing smell and it has the goodness of botanical active and herbal extract which relaxes fatigued and stresses eye muscle and minimise dark circle, puffiness, fine lines, and wrinkle. The cream energies tired looking eye with the carrot seed oil, Ambahaldi and Aloe extract. The wheat germ brightens dark circle and reduces puffiness, and the vitamin E complex gives a smooth look of the fine lines. The last content of my Mystery Box is the Hot Chocolate Bliscent Lip Butter, it is whipped with a blend of rich and creamy oils to keep your lips soft and hydrated. 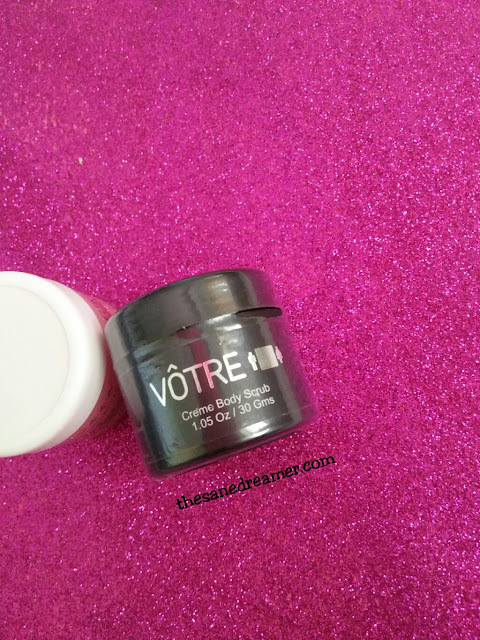 The lip balm has the feature to moisturise, soothes dried and chapped lips. It is paraben free and 100% vegan and cruelty-free. It has a sweet cocoa smell that makes you want to taste it after application. 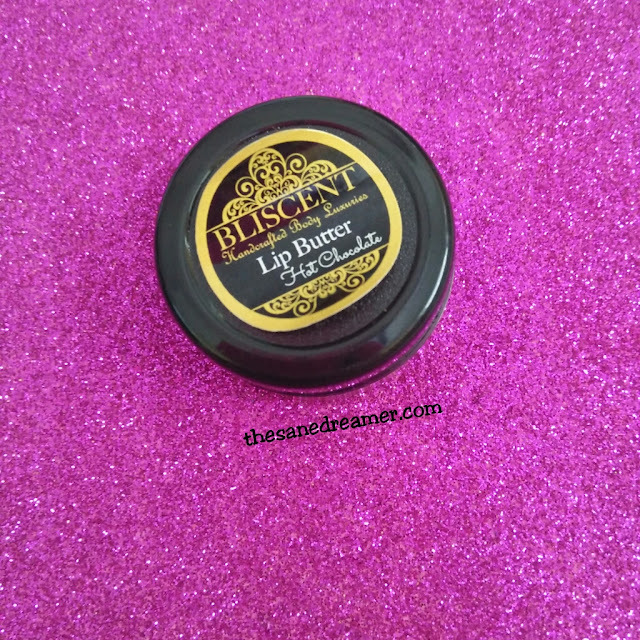 You can buy the Lip Butter from Bliscent online store. So, there you go… Now you know what I received in my Mystery Box from Vanity Cask. If you’re interested in their monthly beauty box subscription, you can check and order one from here.